Donald Trump’s run for the 2016 Election put him and his family in the spotlight. But is this attention healthy? For Trump’s 10-year-old son, Barron, his father’s fame has brought unwanted criticism and comments. 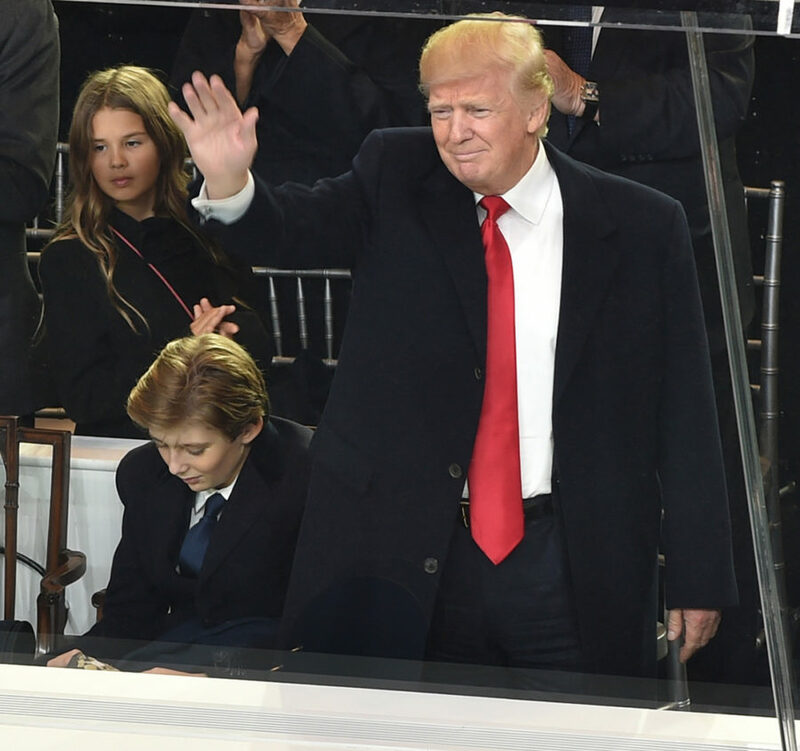 Barron’s first moment of notoriety was when he was falling asleep during his father’s acceptance speech at the Republican National Convention after apparently not having slept in 24 hours. Twitter users joked about feeling the same way. “We are all Barron Trump. #wtf,” Twitter user TRANSVIOLET stated. However, the biggest controversy was when Rosie O’Donnell suggested that Barron may be autistic in November of 2016 and then showed clips of the boy’s behavior. Critics stated that these actions could be normal for a boy of his age, and O’Donnell received backlash over her comments. This brings up the question: when do comments about Barron Trump go too far? As a 10 year old, but also the son of Donald Trump, how much privacy does he deserve? The problem is that Barron has received much more attention from the media than children his age should get. Children cannot be held to the same criteria that adults are held to. Every public moment that a politician or celebrity has is analyzed for every small detail, but these people are adults who should be held accountable for their actions. Barron has not even made any decisions outside of what a 10 year old should do. He may be a part of the Trump family, but he did not make the choice to join it; he was simply born into fame. Barron should be able to live a life that is not closely monitored and publicized. Almost everyone can remember a time as a child where they acted immaturely and made a bad decision. If something like this were to be blown up by the media, a child’s self esteem could be hurt beyond proportion. “More often than not, these conjectures cross over into bullying as they’re coupled with disparaging criticisms about Barron. It’s important for us to say something when we hear these kinds of conversations happening,” stated Sharon DaVanport, founder of Autism Women’s Network. Most of the information the public has received about Barron is from his mother, and it should be kept that way. For his age, Barron’s privacy should be kept away from the criticisms of the Trump family. “I feel like kids that are only 10 years old should be left alone. First of all, he hasn’t done anything. It’s his father that’s doing all this. For you to come and attack the kid who is just standing there to support his father, I think, is really wrong,” Charter Oak junior Emily Ramos said. Barron’s behavior and his public appearance should only be scrutinized by his family, not the world. Let’s turn the focus from Barron to his more influential father.